Does house plant care all seem like guesswork? It can if you don't get to know your plants. I know because I used to guess at what my plants needed. More water? Less sun? Should I give it plant food...how much and what kind? Luckily, some actually survived my trial-and-error techniques. But there's really no mystery to keeping house plants healthy. And there's no such thing as a brown thumb, only a lack of know-how. The "secret" to success with taking care of house plants is to create the same ideal conditions as they would enjoy in their native habitat. 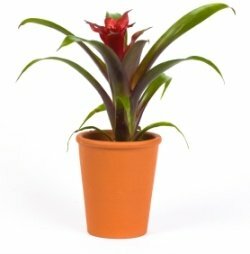 Unlike their ancestors in the wild, house plants are completely dependent on you for their care. Do you know how often you should water your plant? Discover the signs that your plant is thirsty...or more likely, drowning. Is your home too dry for your house plants? Check out several easy ways to raise the humidity level for your plants. Find out which nutrients house plants need, the three things you should never do, plus how to recognize the warning signs of fertilizer overkill. 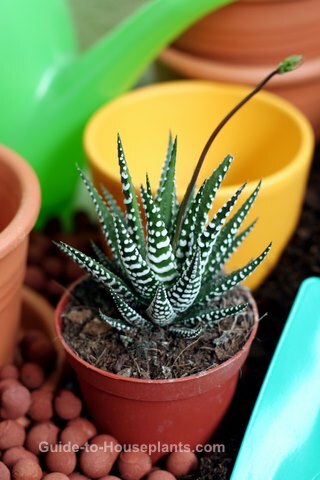 Discover what you should do to keep your house plants in top shape, the big benefits of cleaning them, and why you should pinch your plants. 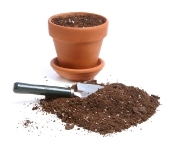 Do you know if your plant needs repotted? The best time to repot? 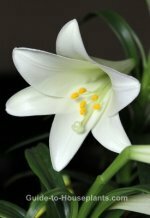 How to do it without stressing your plant? Get the answers here. Find out what's in that bag of potting mix, and which ingredients your house plant needs and why.